Diagonal 6.4 mm (Type 1/2.8) 2.38M-Effective Pixel Color Full HD CMOS Image Sensor for Industrial Applications Achieves a High Frame Rate and a High S/N Ratio. 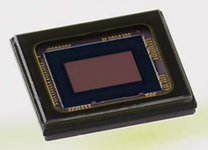 The release of the IMX136LQJ color CMOS image sensors brings a high frame rate, high signal-to-noise ratio and full HD to Sony's CMOS image sensor lineup for industrial applications. With the same diagonal 2.80 µm square pixels as the IMX122LQJ, it maintains the same high signal-to-noise ratio while capturing HD 1080p video at 120 frame/s. A versatile interface means that the sensor can be tailored to different applications. These new ICs are pin compatible with the HD capable IMX104LQJ, which simplifies making additions to the lineup.